Lunch Order form for the week of February 18th. Reminder, lunch order form and payment are due by NOON on Friday, February 15th. Orders not submitted by NOON on Friday may not be accepted (except if the student is absent). 2nd Session of After School Activities start Monday, February 25th. Sign-up Sheet is in today’s communique. 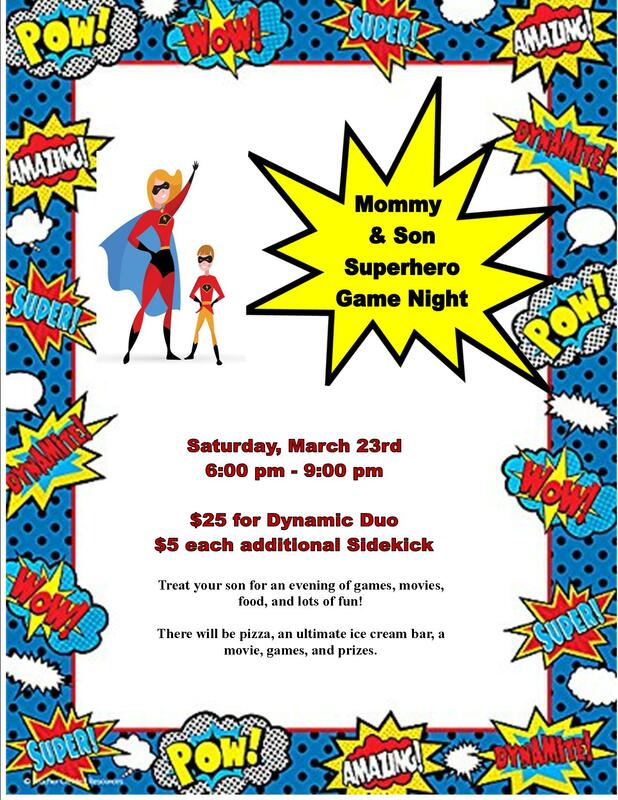 Sign-up sheet must be returned by Friday, February 15th except for Soccer Shots and Message in Motion. They are online registrations. Please see attached for list of activities. Lifetouch Individual Spring Picture Day is Wednesday, February 27. Pre-order forms went home in today’s communique. If you do not pre-order, Lifetouch will send home a proof sheet after picture day. Students should wear their Sunday best. 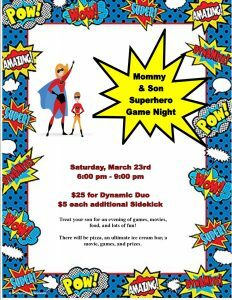 Mom and Son Superhero Game Night. Registration form will be sent out in next week’s communique. 2019 Pee-Wee Basketball and Cheerleading Registration. Deadline to register is by NOON on Friday, March 2nd. 2019 Track and Field Registration Form. Deadline to register is by NOON on Friday, March 9th. 2019 Golf Registration Form. Deadline to register is Friday, March 1st. This entry was posted in Communique 2018 on February 13, 2019 by St. Pius X School.